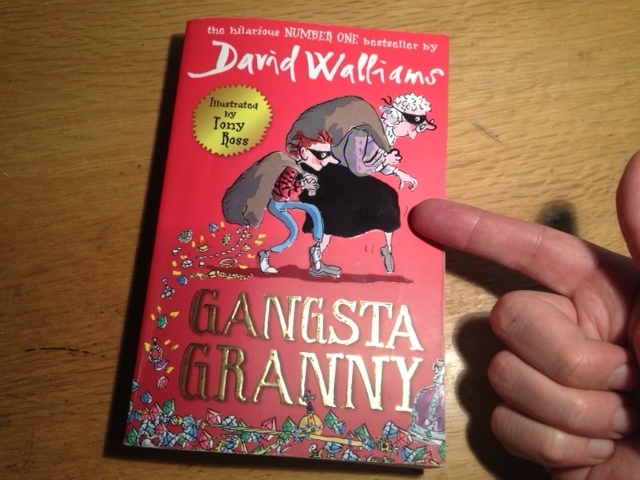 I’d better add something up here which we’ve been working on for a couple of months: me and Kevin Cecil are adapting one of David Walliams’ bestselling children’s books. It’s going to be a big BBC1 special. The BBC did the same thing with one of his other books, Mr. Stink, in 2013. That starred Hugh Bonneville, Johnny Vegas and Sheridan Smith, and turned out to be quite a big hit. We’ve worked with David quite a lot before – on Little Britain and Come Fly With Me. It’s great to be doing it again.And the great thing about this one is, it earns me quite a lots of cool points with my eight-year-old son. David is ridiculously busy at the moment, what with having a child, filming a new sitcom, and judging Britain’s Got Talent, all at the same time. He’s probably writing a new book as well. But the TV gangsta granny is already in great shape script-wise. We hope to be pulling in some big comedy names for the main parts in the near future. I’ll tell you as soon as we have them. when people hear about the project they often ask if it’s animated – but it’s most certainly going to be live action. Anyway, more of the details are available here.